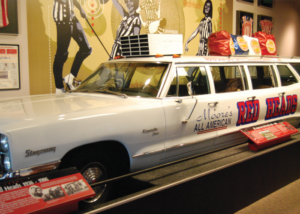 The Women’s Basketball Hall of Fame opened in June 1999 in Knoxville, Tennessee. It is the only facility of its kind dedicated to all levels of women’s basketball. With the 2018 Induction, the Women’s Basketball Hall of Fame will celebrate its 20th Anniversary and add seven new members to our prestigious Hall, honoring 164 inductees. 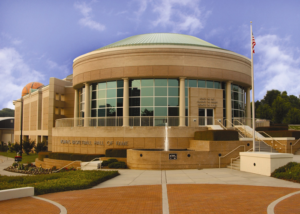 In addition to preserving the history of the game, the Women’s Basketball Hall of Fame is also the perfect location for special events, proms, wedding receptions, corporate meetings, birthday parties, and reunions, to name a few. 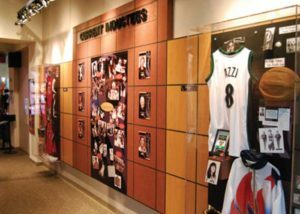 So whether you are looking for inspiration, education or just plain fun, the Women’s Basketball Hall of Fame is the place to find it! Take the Broadway/Hall of Fame Drive Exit, Exit 389. Follow Hall of Fame Drive to the corner of Hill Avenue. Turn left onto Hill Avenue, and turn left into our parking lot. 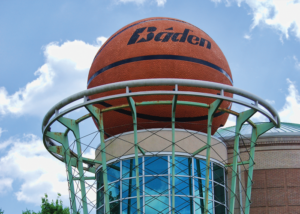 The Women’s Basketball Hall of Fame is located at 700 Hall of Fame Drive across from James White Fort. Take Alcoa Highway North. You will pass UT Hospital on the righthand side. Immediately after passing the hospital, take the exit for Neyland Drive. At the end of the exit ramp, take a left at the light onto Neyland Drive. After the fourth traffic light, take the Hall of Fame Drive exit. At the end of the exit ramp, make a right onto Hall of Fame Drive. At the next light, make a left onto Hill Avenue. Make the first left into our parking lot. Follow Chapman Highway until it turns into Henley Street. Cross the Henley Street Bridge and as soon as you get to the end of the bridge, take the first right onto Hill Avenue. Go straight through the stop signs and the traffic light at Gay Street. Immediately after you pass the intersection of Hill Avenue and Women’s Basketball Hall of Fame Drive, make a left into our parking lot.